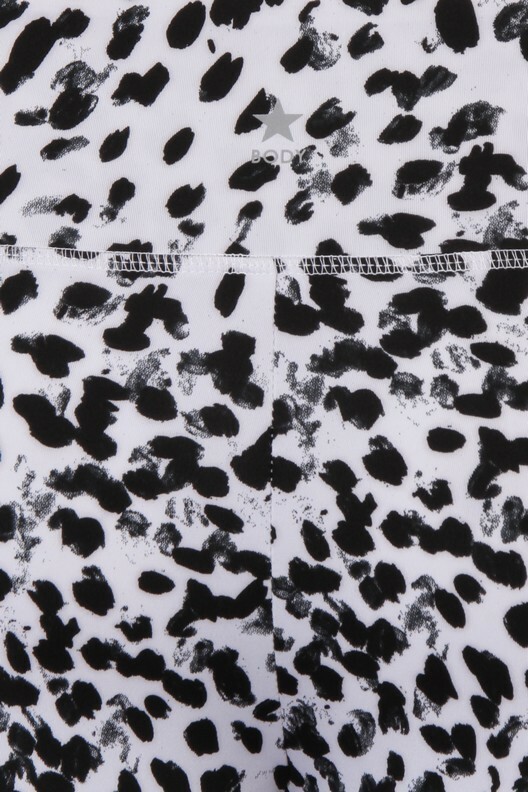 Go wild with your work out in our Kerry dalmatian mesh insert fitness leggings. 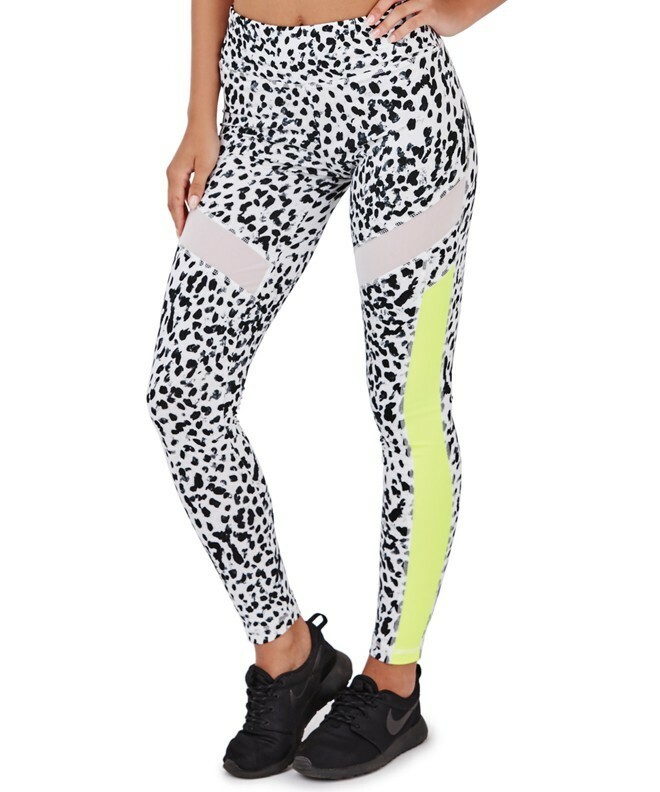 With all over black and white dalmatian pattern, white mesh insert panels and neon yellow side panels and elasticated waistband. Matching fitness tops available in this range. Available in sizes XS, S, M, L. Comes in packs of 12.